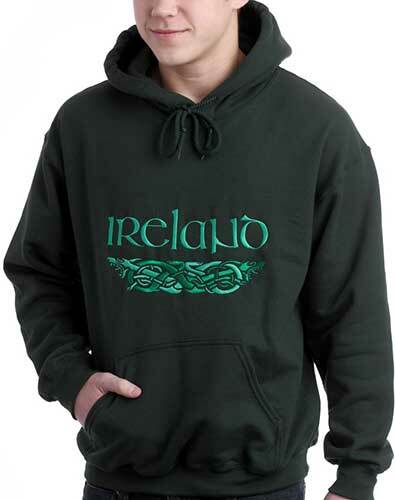 This Irish sweatshirt features a 50% cotton, 50% polyester blend. The Gildan brand hoodie is additionally enhanced with pouch pockets along with a double lined and pill resistant hood with a drawstring. 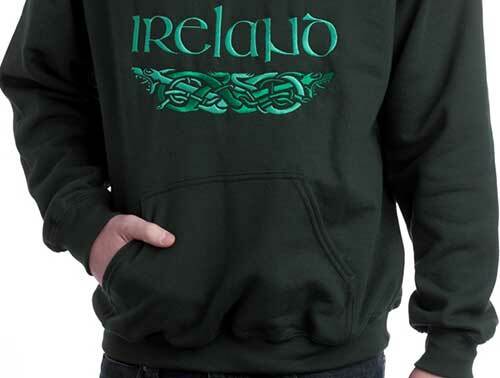 This Irish sweatshirt features green on green embroidery that intertwine in this traditional Celtic knot animal design with Irish scrip. 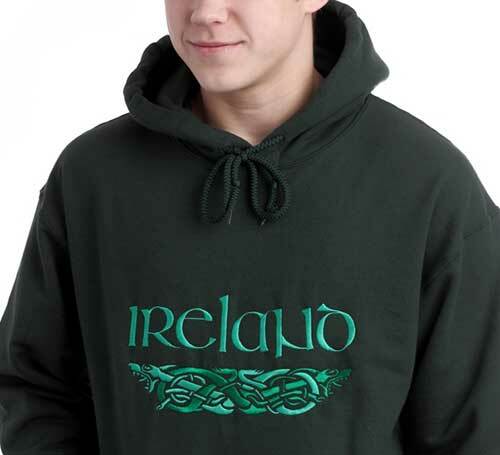 The pullover Celtic hoodie is enhanced with over 20,000 stitches on a forest green, medium weight, comfort blend sweatshirt that is embroidered in the United States. The Irish hoodie is received with a Celtic knot history card, compliments of The Irish Gift House.